Healthcare problems in rural communities are numerous. 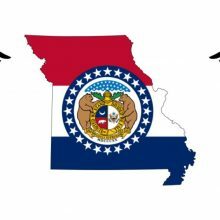 Missouri is no exception. Not only are there a lot of problems, the implications are very serious! Mid-MO AHEC is here to help solve these problems from inside the community. Every day, residents in Missouri’s rural communities face difficulty accessing quality preventive and primary care. Reasons for this difficulty include things like lack of insurance or transportation, low health literacy, language barriers, privacy concerns, and a general lack of trust in the healthcare system. The largest factor in this lack of access is distribution of healthcare professionals across the state. There just aren’t enough doctors, nurses, and dentists practicing in rural areas. The path to becoming a practicing healthcare professional is a long one. “Medicine” and “healthcare” are pretty large umbrellas. How does a student interested in medicine know where to start? What should they study first? Where should they apply? How can they know they really want to be a nurse, doctor, or dentist? Once a student has started on a career path, the questions continue to pile on. What kind of clinical and experiential training do they need? Where can they get it? How do they get on clinical rotations? Where can they access academic didactics? Will they need an internship? A massive part of Mid-MO AHEC’s day-to-day operations include assisting healthcare students, from high school through professions school, answer these questions. Healthcare is changing faster than ever before. In fact, healthcare is changing faster than most clinics’ ability to keep up. It is not just the treatments that are changing either. Every aspect of healthcare is experiencing change. From the way providers interact with patients, to the way providers interact with other providers! How is a healthcare professional, who already works 50-60 hours a week, supposed to keep up with these changes? How can they ensure they are providing the best possible care? Being embedded within the community, Mid-MO AHEC is able to work on these problems at every level. The solution is a comprehensive student-to-provider pipeline. Mid-MO AHEC helps high school and undergraduate students explore and begin to experience various aspects of careers in healthcare. Mid-MO AHEC helps students already on a career path get clinical training, schedule rotations, and find programs to accelerate their careers. Finally Mid-MO AHEC helps providers stay on top of changes in medicine by assisting with access to continuing education and other training programs. If you want to help us solve these problems, join our mailing list. Together, we can make Missouri healthcare what it should be…the best healthcare available!